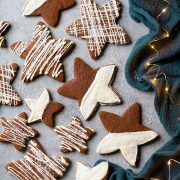 This recipe for One Santa Cookie is the easiest and fastest Christmas cookie you can make! And it’s one of the tastiest too. I know Santa’s loves it! 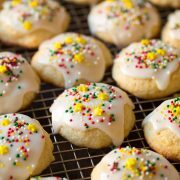 If you’re like me come Christmas eve you don’t have much time to make a full batch of cookies – so this is going to be our new go-to tradition. One big cookie just for Santa that only took minutes to prep! It’s got perfectly crisp edges, a soft and chewy center and it has chocolate in every bite. Oh and those sprinkles add the perfect special touch (though they are optional. I also added a few edible star sprinkles after baking because I couldn’t help it). After all the work you’ve put into the holidays you’ll deserve this cookie! My two kids and I have actually been making it many times over the last few weeks because it’s a great size for sharing. Plus I love the simple prep, the quick results and the easy clean up. This cookie is an all around win! Save this recipe, it will definitely come in very handy soon and not just for Christmas eve. It would make a perfect last minute gift for a friend as well. 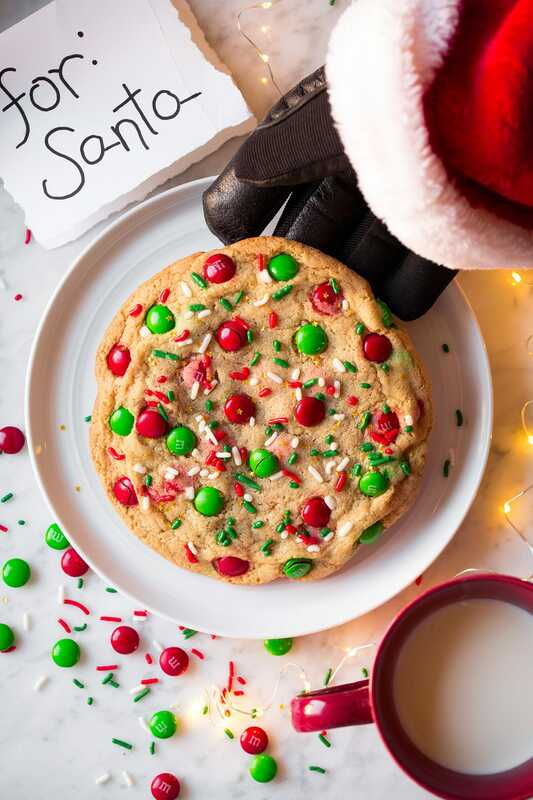 Recipe for one extra large Christmas cookie that's perfect for Santa! Fun to make and extra delicious. Soft and chewy and with fun festive colors. Sprinkle remaining 1/4 of the M&Ms over top along with sprinkles if using. Bake in preheated oven 11 - 14 minutes, until edges are just golden brown (cookie should appear slightly under-baked in center). **I've also made this using a 1.77 oz tube of red and green Mini M&Ms, which is equal to 1/4 cup. 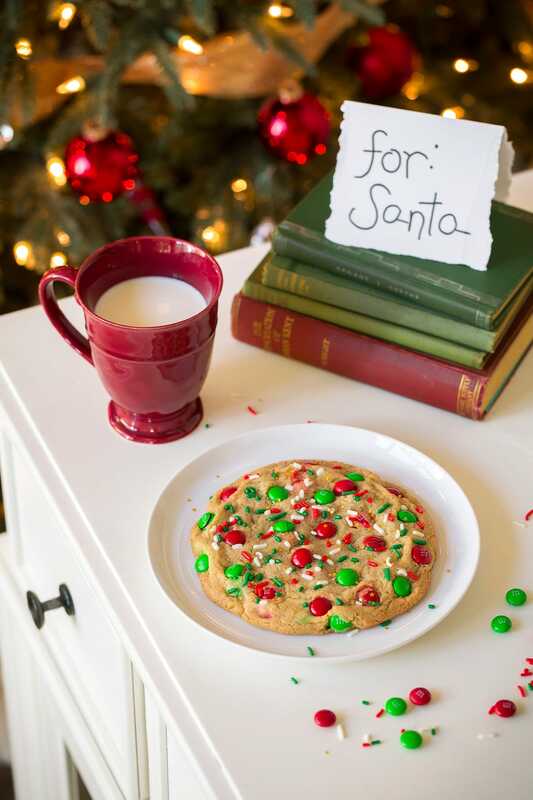 Sharon Aldridge: I’m not really much of a baker, however, I would love to make this One Santa Cookie only I would like to make a batch for sharing. 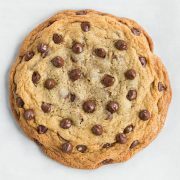 Would someone please tell me what the quantities would be for say 25 – 36 cookies or how to adjust the measurements to equal x number of cookies. My cookie didn’t rise, what did I do wrong? So I can do it better next time! But super excited to try the one we made even if it didn’t rise :-p.